The Racing Horse has all the racing trends for the 5-day Glorious Goodwood Meeting where jockeyship will be crucial. 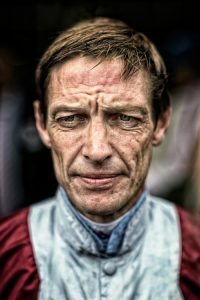 We have posted the comments of Richard Hughes which illustrates the problems this unique course poses to jockeys. Richard Hughes says: "Goodwood can be a tricky track to ride. The thing about the place for a jockey is that you have to believe in yourself, even when things aren't going great. You might not get a run on one horse, but you have to have the balls to ride the next race the same way. If you try to make the gaps happen, they won't come. If you let them happen, they do come. It's all about confidence and sticking to your plan. What helps is getting a winner early in the week – but that's not easy in races run over 7f and 1m. In big fields, it's a huge advantage to be drawn high. So many of the races over these trips have lots of runners and you are bound to be on a few drawn low and therefore wide on the track. At the start of the week you have to make a conscious decision either to push forward or miss the kick and go up the inner." He continues: "Personally, I've tried more than enough times to break fast from an outside draw and get over to the rail. What I've learnt is that by doing that you always end up going too quick and use up too much horse too soon in the race. If you drop your horse in, you are giving the others a head start and are always in danger of being blocked in down the straight, but I think it's the chance you have to take. The problem with a low draw is not just that you are wide. The stalls are positioned at a part of the hill that puts those on the rail higher up than those on the outside. Because of that camber, horses drawn low have to climb much more of the hill than horses drawn on the rail, who pretty much get to run level. As the stalls are, if you like, positioned sideways, a lot of horses also slip coming out of the gates." This meeting starts on Tuesday 31st July to Saturday 4th August. We will post our betting advice at 6pm Monday evening. First, let's check out some interesting favourite figures. AFAAK was really strong at the finish when runner-up in the Royal Hunt Cup last month, and on that evidence, this trip will unlock more, so the case for him is a compelling one from a reasonable draw. Dark Red has previous in this race and he arrives on the back of a career best, with Medrano interesting at longer odds. Original Choice quickened well to land a good prize at Wetherby over 1m in May. Sandown run was a bit flat, but now up in trip and rain-softened ground will suit. The price is particularly good and must start shorter! Double figure draw would have helped us. William Haggas has a strike-rate of 23% with horses running in races between 7f and 10f since the start of the 2013 season. DARK VISION already looks a bargain purchase after his impressive wins at Yarmouth and York, and it's worth noting that Mark Johnston traditionally aims his best 2yos at this race. 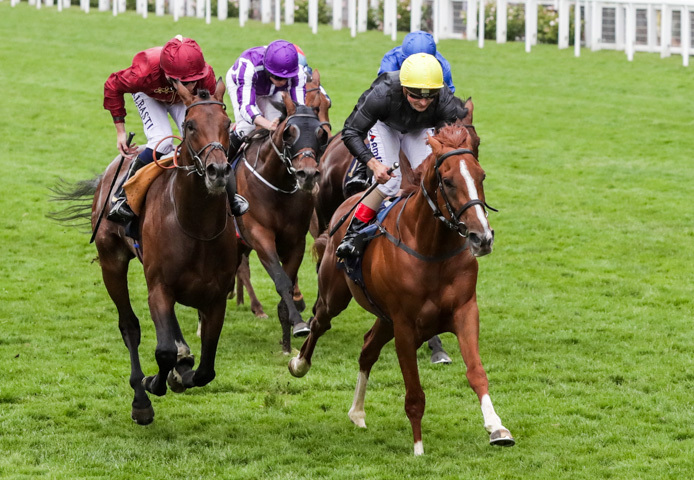 The form of Confiding's debut win at Newbury couldn't have worked out any better and his yard has a good line with a few of these through July Stakes winner Advertise. Any rain would make Cosmic Law a big player. Dark Vision was a cheap purchase given pedigree, but made a winning start in 6-runner minor event at Yarmouth (6f) before following up impressively at York. Will go on improving. Burg at 22/1 looks a huge price and make the frame if not win! A really competitive renewal with little separating a number on form. Last year's third Suedois gets the nod on the back of a fine effort in the Summer Mile at Ascot recently but Tip Two Win will be a massive threat if recapturing anything like his 2000 Guineas form, while Sir Dancealot arrives at the very top of his game. Emmaus is another fascinating contender but he is unproven on fast ground. Sir Dancealot ticks all of our boxes and trainer form not an issue (June was good). As good as ever when deservedly winning first pattern race when proving length too strong for So Beloved in Group 3 Criterion at Newmarket last month. Fine fourth in July Cup there since. Has a favourites chance. The Exacta paid £3.80, the CSF paid £3.10 and the Trifecta paid £11. Stradivarius is an attractive colt and a high-class performer. Has won a handicap at Beverley, Queen's Vase at Royal Ascot and Goodwood Cup in 2017. Successful in both starts this season in Yorkshire Cup at York (by 3 lengths from Desert Skyline) and posting career-best effort when following up in 9-runner Gold Cup at Royal Ascot, going with enthusiasm and proving game when beating Vazirabad by ¾ length (finished lame/lost shoe right hind). He is clearly effective from 1¾m-2½m and acts on Tapeta, soft and good to firm going. Often travels strongly and usually responds generously to pressure.